The Japanese delicacy known as fugu, puffer or blowfish is more poisonous than cyanide. Japanese people love it and one would wonder why, when the risk of dying from consuming it is always a worry. People say it is 200 times more poisonous than cyanide and 23 people have died in the last 15 years from consuming ill-prepared Fugu. Given that a meal of fugu could set you back $120 it is quite an expensive way to die. It is also not a particularly pleasant way to die. Tetrodotoxin poisoning is described as rapid and violent. First, it numbs one’s mouth, then paralyses the rest of the body. The mind, however, is not affected so that in itself would be pretty scary. Imagine being lucid whilst at the same time struggling to breath and eventually succumbing to the deadly toxins. There is no antedote. 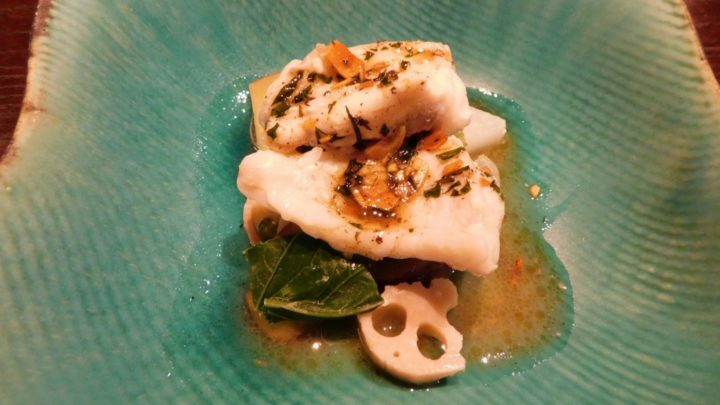 To prepare and serve Fugu, a chef has to have special training and also a licence to state that he is indeed qualified to prepare the delicacy. Using extremely sharp knives the chef will prepare the fish. The brain and eyes are removed. They are placed in a metal tray marked as non edible. The skin and innards are removed; particularly poisonous are the ovaries. One tiny sliver of ovaries has enough poison to kill 40 people. The poisonous parts, once removed, are locked in a metal container and then taken to be burned. Training for this takes at least two years. To acquire the skill required, the chef practises on hundreds of fish. A third of the applicants in training fail the last test. The fugu chef is well aware of what can happen if the slightest amount of poison is left in the fish. Loss of licence, a great shame, and litigation could occur if the fish killed someone. While travelling in Japan last year I was taken to a restaurant and sat down to a six course meal. The meals on offer were amazing. At around the third course, fish was served. It was delicious tasting fish, so mild in flavour and prepared in such a way that I wanted more. Little did I know, it was fugu. It was not until the meal was over that my guide told me the fish I loved so much was in fact the deadly pufferfish. I had always thought that puffer or blowfish was poisonous. I just never knew how much so until I did a little research. If I had known the facts before my meal, I would probably not have eaten it. Yet, in hindsight, it was really delicious and I can understand why people risk all to eat it. Luckily for me, the chef who prepared my meal was a good one, and I am still alive to tell the tale. What exotic delicacies have you eaten while travelling? Have you eaten fugu (puffer or blowfish) in Japan?